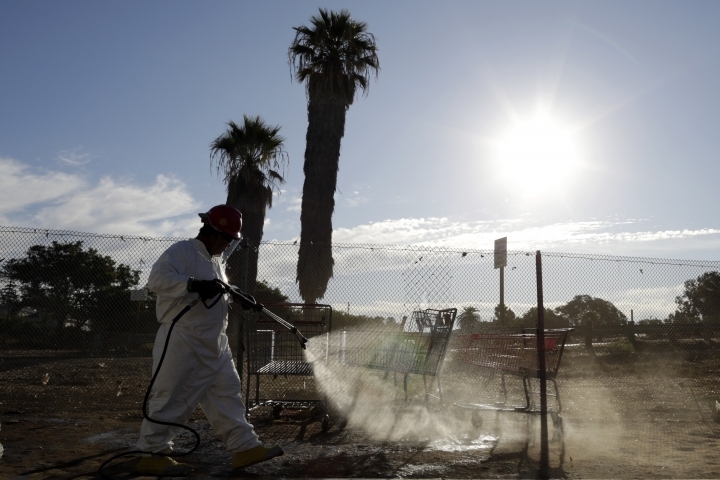 SAN DIEGO — The city and county of San Diego failed to quickly recognize and control a Hepatitis A outbreak that grew into one of the largest in recent history, killing 20 and sending nearly 400 to hospitals, according to a state audit released Thursday. Mike McConnell, an advocate for San Diego's homeless population, said the more he read the audit, "the more angry I got." 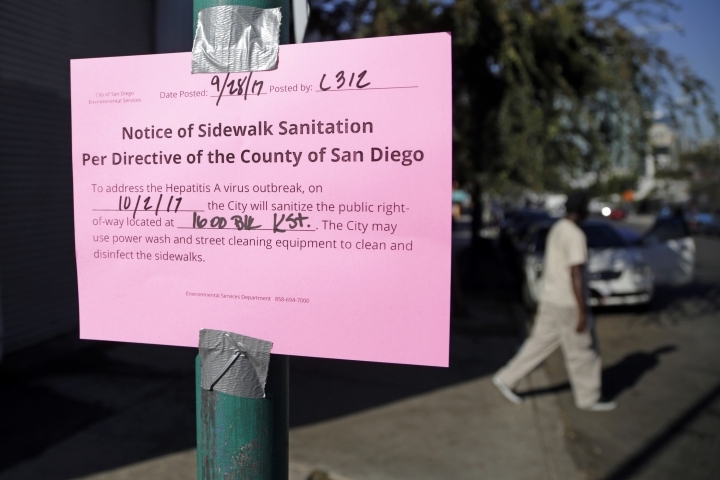 He said officials did not act until an affluent resident went to the county board of supervisors after getting infected and expressed his concern, and then reports of the outbreak began to affect San Diego's tourism industry. "There was just negligence," he said. "Because the people being impacted were homeless people, there was not the same sense of urgency." San Diego city government officials "agree with the recommendations, particularly that the city and county should strengthen their relationship as it relates to responding to regional emergencies," said city chief operating officer Kris Michell. San Diego County's Health and Human Services Agency said in a statement that the findings were consistent with the results of a county review and that county officials "reiterate our commitment to making the recommended improvements so that as a region we are better prepared to respond to any future health emergency." Democrat Todd Gloria, a state lawmaker representing San Diego, said in a statement that he plans to "propose solutions to ensure this never, ever happens again." He declined to provide specifics until after he evaluates the report but said "one thing is clear: Lives could have been saved." This version corrects that the audit was performed by California's state auditor, not the Legislature. This version also corrects the name of Bob McElroy of the Alpha Project, which shelters the homeless.